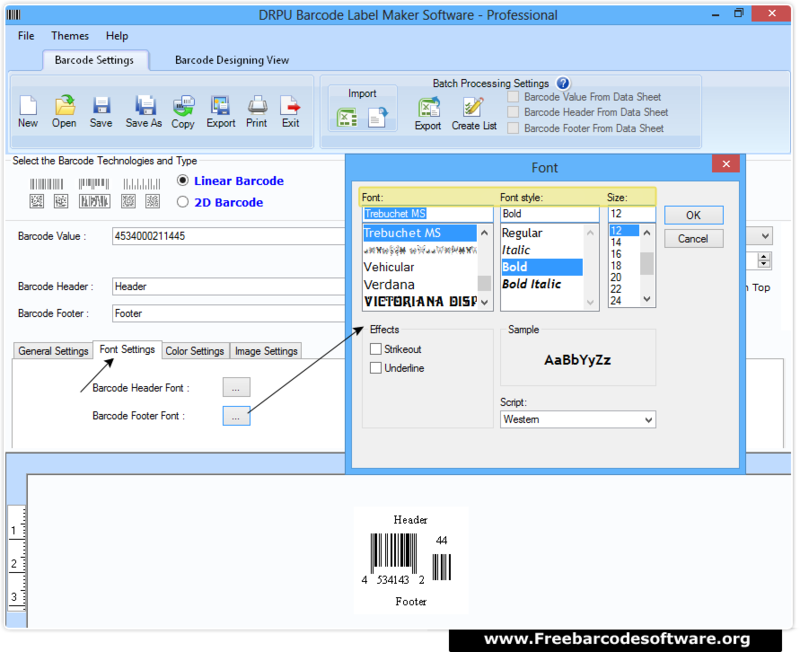 To generate barcode label, first select barcode technology (Linear or 2D) and font type. 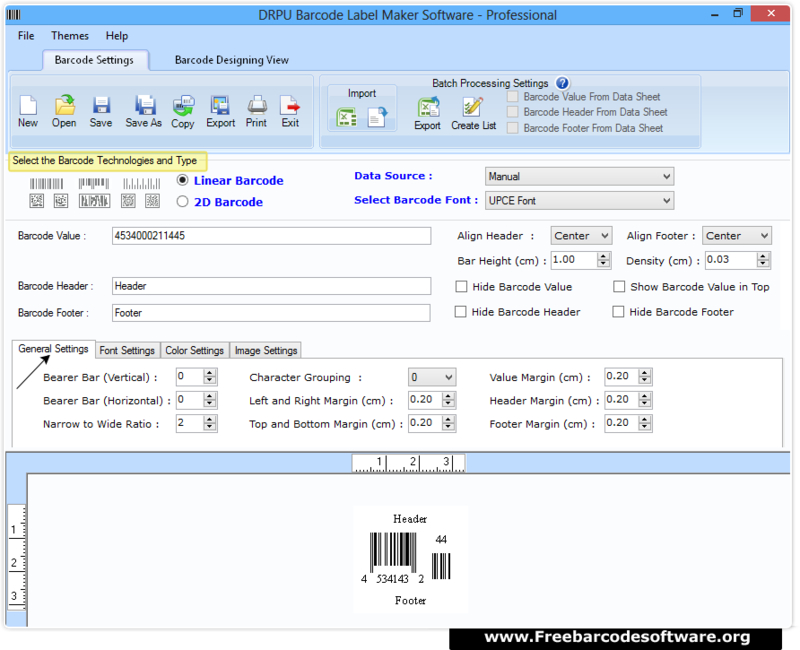 Then proceed by entering barcode value, header, footer and alter various settings as per requirement. In General Settings, you can set different margins, bearer bar, narrow to wide ratio and character grouping. In Font Settings, you can set barcode value font, header font and footer font. 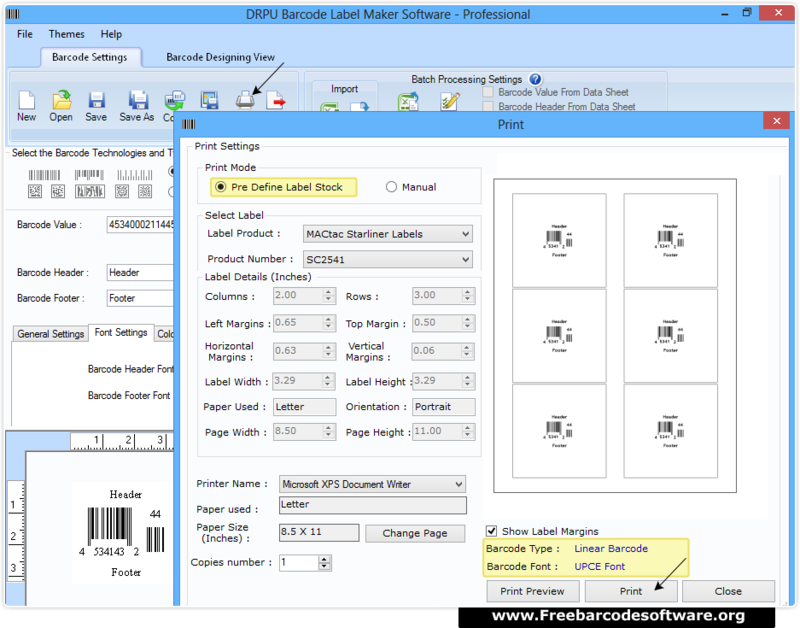 Go to print option and choose print mode (Pre Define or Manual). To preview your settings go to ‘Print Preview Button’ to avoid printing errors.